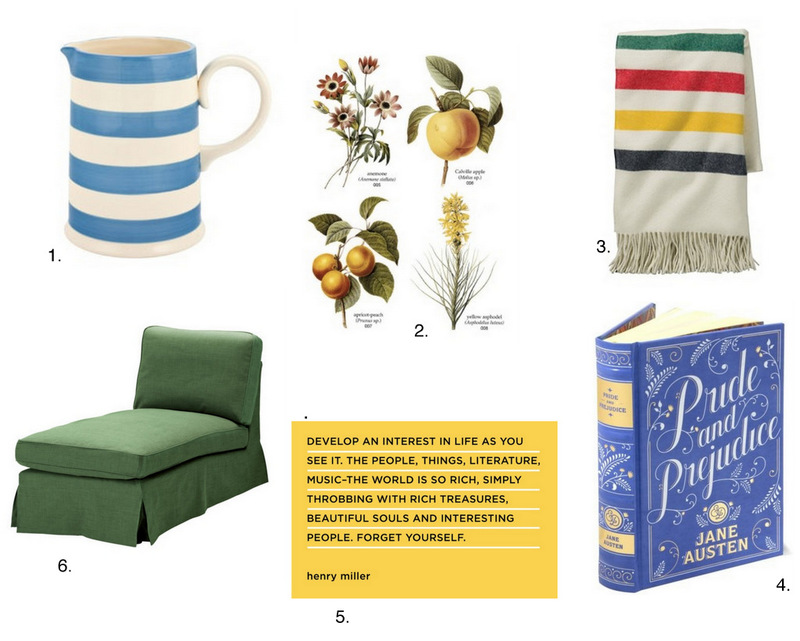 A few recent bookmarks and a few that I've been eyeing* for months (ahem ahem, that Pendleton blanket). *It took me a couple of minutes to figure out the proper spelling of this word. Removing the second "e" seemed like the right thing to do but then "eying" looked weird and incomplete. Turns out, both "eyeing" and "eying" are accepted spelling variations of the word. Random fact of the day. Yes, yes to all this–and to the visual strangeness of the spelling "eying". Haha...I do the same spell checks with weird looking words! I've had that Jessica Hische Austen book on my list for some time now...LOVE.